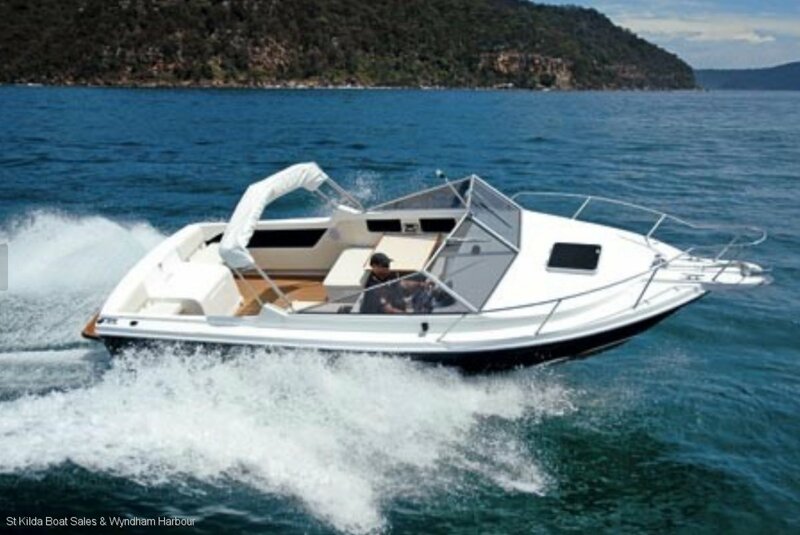 This 24 Open Runabout with the largest cockpit in it's class & a traditional open saloon. "The Caribbean 24 Open proved willing, jumping out of the blocks to a top speed of 33kts, clocking a fast cruise of 24.5kts, and holding a smooth family cruise of 21kts for 35lt/h. 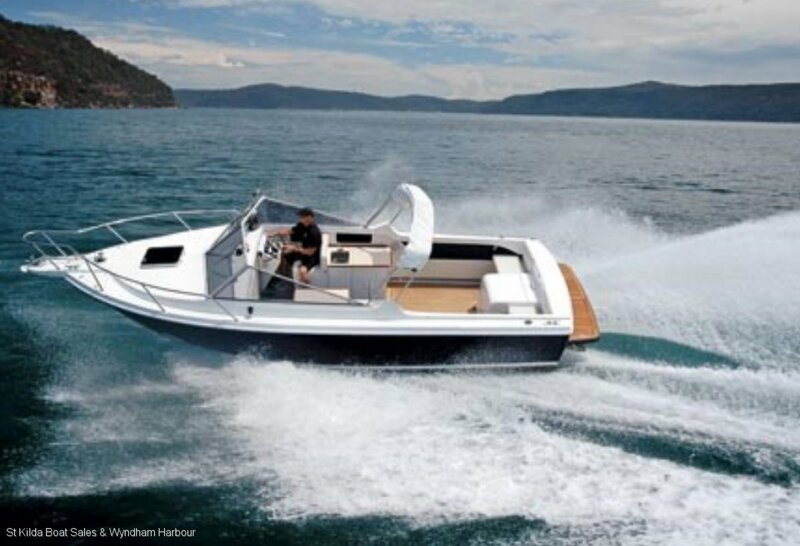 More importantly, the deep-vee hull makes a whoosh rather than a slam crossing the swells. If the wind and boat wake pipes up on Sunday afternoon, no worries, the Caribbean 24 Open will leave all that trouble floundering behind it. " 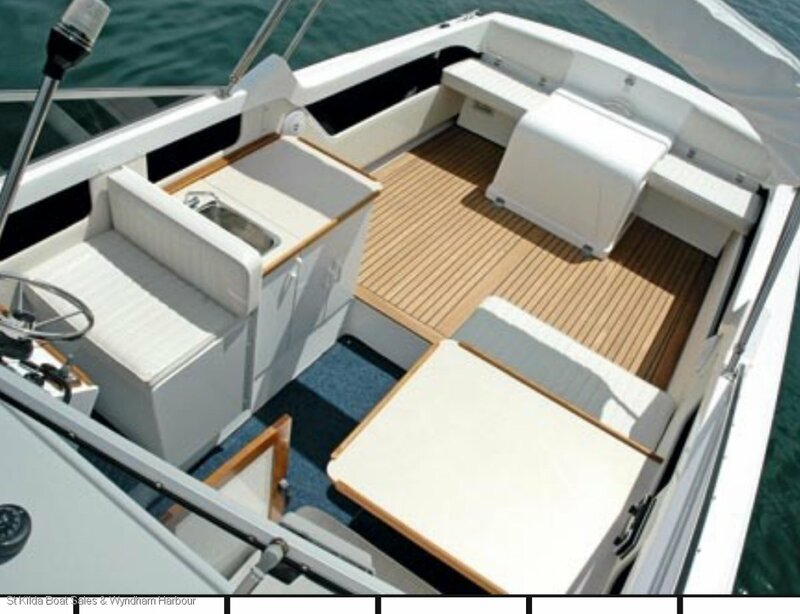 We can custom design your galley and cockpit to suit the family entertainer & serious sportsfisherman.